Please fill the form below or for immediate response Call Us Today! 858-536-8111. If you're looking for a dentist in Poway, you want to make sure that you find someone you can trust to give you personalized, quality service at reasonable prices. At Rolling Hills Family Dentistry, we treat patients with the courtesy and professionalism that they deserve, and our equipment and methods are all state-of-the-art. We offer a wide range of general and cosmetic dental services. Call us today for more information. When you come to Rolling Hills Family Dentistry for care, you realize right away that you're dealing with knowledgeable and experienced professionals who care about your comfort and satisfaction. We don't believe in running our practice any other way! We stay current with all of the latest dental care methods that technology has to offer so that we can make sure we're providing you with quality care, and we never treat our patients like numbers on a chart. Everyone who comes to us for dental care is given the individual attention that they need, and we serve patients in Poway and surrounding areas such as Scripps Range, San Diego, and Mira Mesa. We're proud of our computerized equipment that helps us offer quality care, including digital x-rays and intra-oral cameras. We emphasize preventive dentistry in our practice, and we encourage all of our patients to have exams and x-rays on a regular basis in order to catch problems early or prevent them altogether. We accept most dental insurance plans, and we offer financing options for those services that aren't covered by insurance, or for patients who don't have insurance. Our goal is always to provide affordable, quality health care for you and your family on a consistent basis. Call us today to schedule an appointment for an exam and x-rays, or if you have a specific dental issue that you want to discuss. 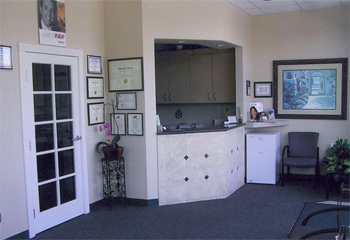 When you need a dentist in Poway, you can count on the trusted professionals at Rolling Hills Family Dentistry. Our top priority is your comfort and satisfaction, and we keep that priority in mind every time we treat a patient. Call us today, and let's talk about how we can help you have healthier teeth and gums. Your Guide to Easing Stress at the Dentist's Office discusses options available to patients with dental anxieties. Call Us for a Beautiful Smile!